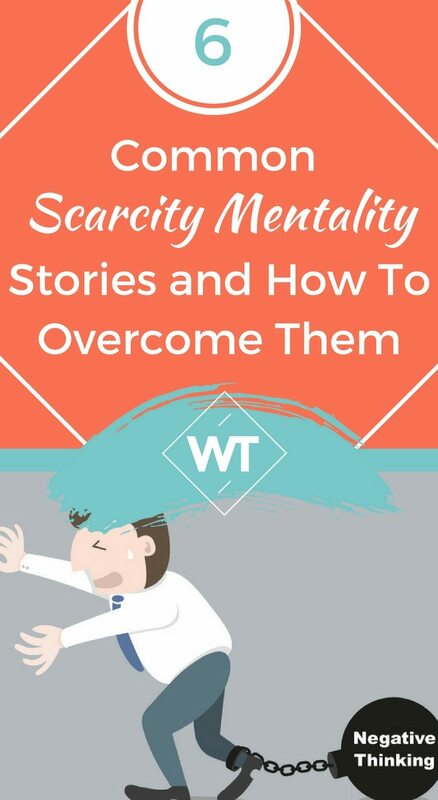 Scarcity mentality is defined as the mindset in which one is focused on what they don’t have and what isn’t available to them. This shows up in many different forms including . . . Believing that financial success is not possible for them. It creates a lot of unnecessary stress and anxiety for individuals, and it’s also something that must be dealt with if one is to succeed in business. Scarcity mentality keeps aspiring business owners from going after their dreams. It keeps people who are making millions in a state where they still feel like there still isn’t enough money. It perpetuates overspending as people try to fill a perceived “lack” buy purchasing stuff. Scarcity mentality is what keeps business owners from asking for more money, forging ahead in spite of challenges and succeeding. In the time I’ve spent coaching business owners, it never ceases to amaze me how quickly symptoms of scarcity mentality surface. The truth is, business will challenge many of your beliefs about money and success, and if you’re not clear on where you are struggling mentally and emotionally, then you will undoubtedly end up very stressed and anxious as you ride the waves of entrepreneurship. 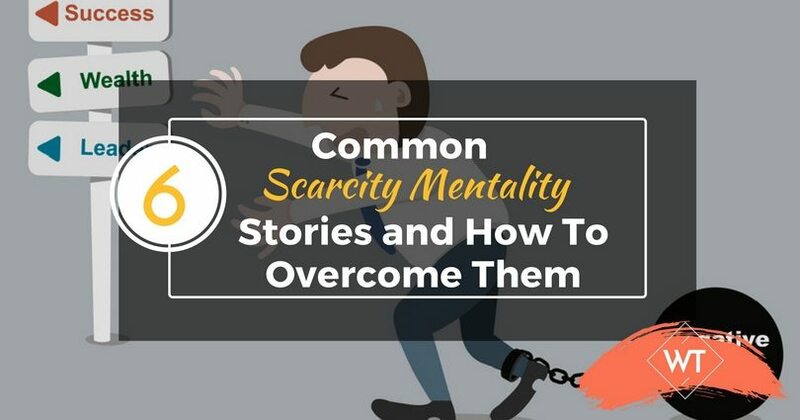 Below I’ve outlined some of the most common scarcity mentality stories that come up for individuals who are starting a business. But before I do I’d like to point out that these stories may show up again and again throughout your entrepreneurial journey. That is totally normal as it takes a long time and lots of practice in order to overcome them. The important part is that you become aware of these stories and do your part to actively change them. One of the first things I hear come out of people’s mouths is the fear of competition. This is classic scarcity mentality because you’re already making the assumption that there isn’t enough to go around. We live in an incredibly abundant universe, which means that there are plenty of clients, press opportunities, deals, contracts, blog readers and customers to go around. The best you can do is take care of your side of the street and focus on how your business serves people. Furthermore, we’re living in a “share economy” where collaboration has taken center stage. Many companies already do this including eBay and Craig’s List which wouldn’t exist without the collaboration of others. You also see this coming up in sectors such as peer-to-peer travel experiences and accommodation (Ex. AirBnB, and Uber), peer-to-peer task assignments (Ex. Task Rabbit) and car sharing (Ex. Cars 2 Go). The truth is this kind of economy, where people are sharing resources, talents and skills rather than competing with one another, has opened the door for more opportunity within the markets. Again, another classic story of scarcity mentality. Lack of resources and funds stops people from doing a lot. While it’s true that you may not see the money in the bank yet, I’ve also noticed that people use this as an automatic excuse out of fear. How do I know this? Because there are multiple forms of funding your business, you can create financial goals to help you and with planning you can do a lot. If people moved past the automatic response of “There isn’t enough money” they would see that they have options available to them if they simply researched. Look, there is always someone making money regardless of the state of the economy. And a big part of why that is, is because those who curb their scarcity mentality are trained to see opportunity in everything. Furthermore, let’s look at the most recent recession to put this into perspective. Many people found themselves in a position of having to create their own businesses because they couldn’t find forms of traditional employment. We also have women starting businesses at a faster rate than ever before. Much of this came as a result of a bad economy. It’s like the old saying goes, Necessity is the mother of invention. It just so happens that often times those inventions lead to abundance. 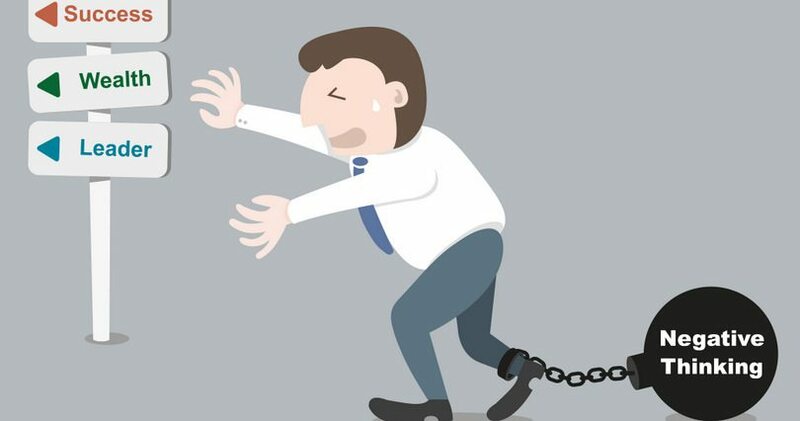 In an effort to feel comfortable and secure, many would-be entrepreneurs forego creating businesses despite their desires because they feel like traditional employment is more secure. After all, it’s a story we’ve all been fed since we were children. As a former recruiter I can tell you this assumption is completely false. I interviewed individuals on a daily basis who had lost their jobs from one day to the next due to layoffs, company mergers or budget cuts—all of which were completely out of their control. With entrepreneurship you may lose a client or two but you won’t lose all of your income in one fell swoop. I talk to people all the time who are down in the dumps because they stumble across a similar business online that looks more successful than their own (the operative word here being “looks“). Comparing yourself to other people is a surefire way to stay stuck in a rut of lack. And as with many of the other stories in this article, it’s also a farce. The truth is you have no idea what the financial situation of another person or business is. Sure, they may claim to be making six figures, but very rarely do people talk about expenses, taxes and their own salary when it comes to business revenue. Furthermore, everyone’s definition of success is different. It’s important that you define what success means to you so that you can act accordingly. Everyone is afraid of rejection. However, a recent study from Stanford reports that people tend to overestimate their chances of being rejected. Furthermore, even if you do happen to get rejected usually it’s just a matter of widening your pool and continuing along your path, within a short period of time someone typically agrees to help you. The moral of the story is this: The ideas of rejection you have floating around in your head are just stories. Rejection doesn’t happen as often as one tends to think—and even if does, it’s simply a matter of moving forward. In an effort to simplify the content in this article we’ve created a table you can reference whenever you are feeling unsure of yourself or feel like you may be suffering from a bit of scarcity mentality. There’s too much competition. There’s more than enough to go around. There isn’t enough money. My needs are being met. It’s a bad economy. With every challenge comes an opportunity. It’s not stable (Entrepreneurship). Stability is within me, not my outward circumstances. I should be making as much money as ‘X’ person. I am following my own path of success. I’m going to be rejected. I will find the right people for my business.